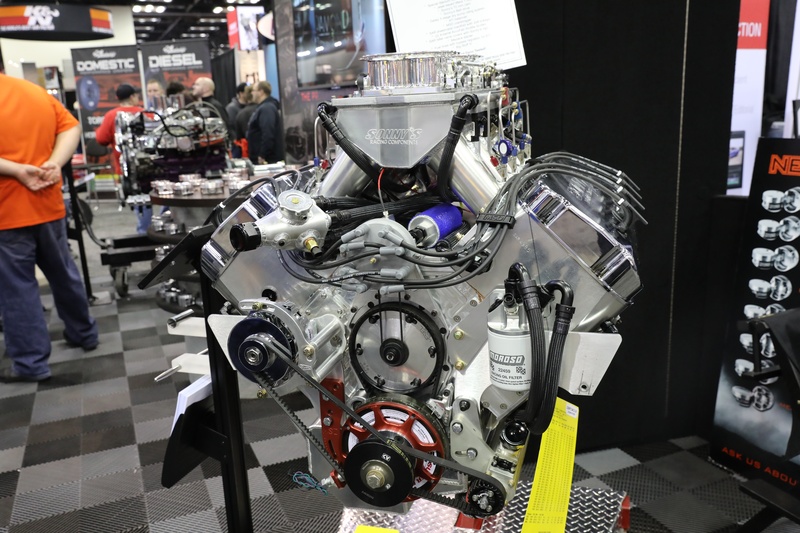 The annual Performance Racing Industry Show is a celebrated time of year when racers and manufacturers converge on Indianapolis to highlight people, product, and budding performance technologies. It may be cold outside the doors of the convention center, but inside the floor is abuzz with red-hot innovation. 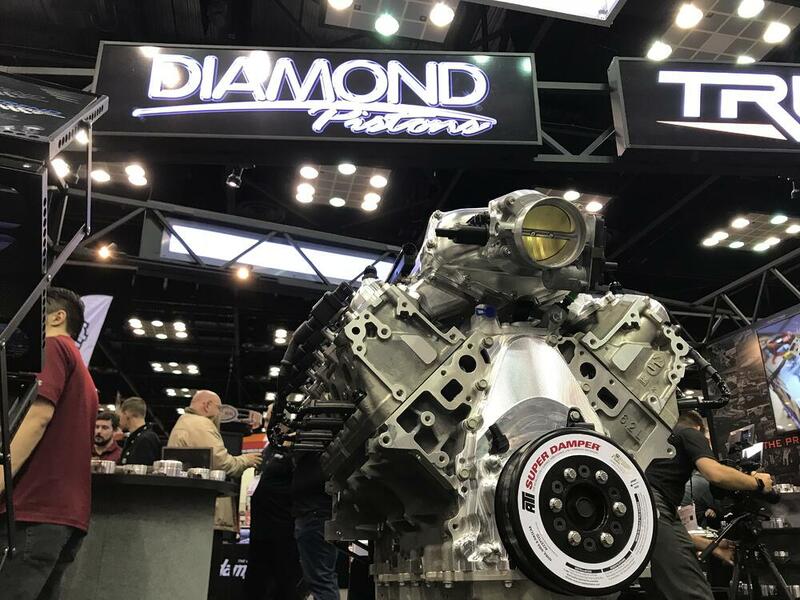 Diamond Pistons is on site at booth 1825, talking tech with racers of all types and their booth is alive with –you guessed it–horsepower. Here's a look at a few of the high-powered mills decorting the booth. This Shredder Series diesel engine by Industrial injection is another in a long-line of high-power Cummins oil burners. 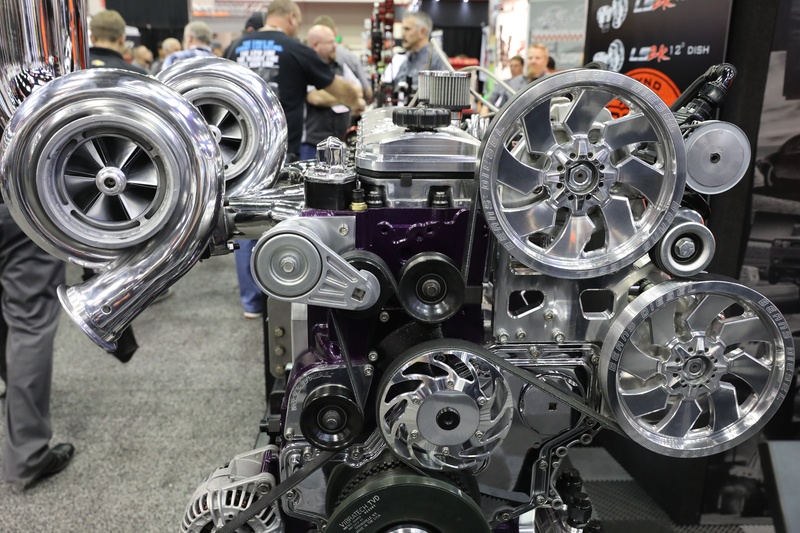 Giant, twin turbos provide insane boost and make this mill a solid performer in both the pulling and drag racing worlds. Sonny’s World Class Racing engines make their presence known. This 940ci mountain motor features 5.300in bore spacing, GM semi-hemispherical cylinder heads and makes a deliciously irresponsible 1600hp on 93-octane pump gas. Sean Ramey Racing is a force in the import racing world. This record-setting Honda B18c built by his shop produces 1,400hp (350hp per cylinder!). And that's not all! There are plenty more mighty mills in the booth, each generating quadruple digit horsepower. 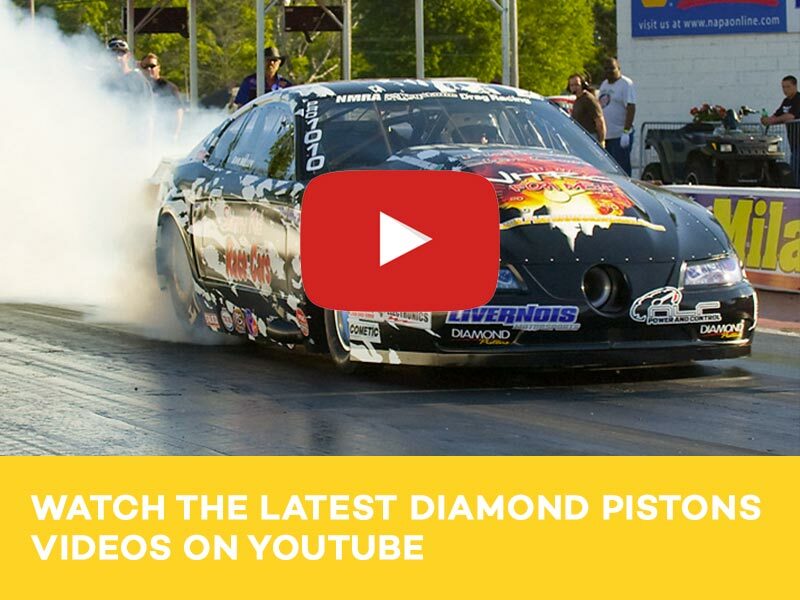 Stop by and see them all, as well as all of the new products such as Diamond's Marine Series pistons, the LS2K 2,000hp-capable LS Piston, high-performance diesel pistons, Nissan GTR Pistons, and the new LT series pistons.